Started in 1978, Ohio Industrial Sales, Inc. is a Distributor/Installer of medium to high temperature insulation products, SiC Heating Elements, refractory hardware, coatings, and accessories. With steel fabrication and custom die cutting capabilities, we serve the Ferrous, Non-Ferrous metals, Petrochemical, Ceramic, Power, and Mineral Processing industries. Conveniently located in Twinsburg, Ohio to service the Cleveland, Akron, Pittsburgh, Marietta, Columbus, and Cincinnati markets, O.I.S. 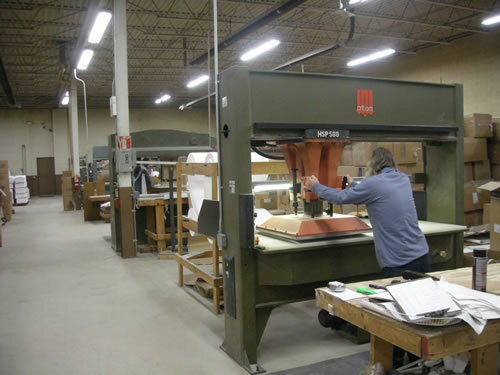 utilizes a modern 25,000 sf facility to provide the needs of industry locally, and nationwide. Our fabricators are dedicated to quality and expert installation to meet our customer's specifications. Whether the job is simple or complex. Ohio Industrial Sales has the right approach for the job. Our years of experience in the refractory industry means we've probably experienced your type of application, and the most effective product available. Ohio Industrial Sales, Inc. was built on the basis of supplying the finest quality products available and providing the best possible service to our customers. OIS has always insisted on a professional and honest attitude by our customer relations team, quality workmanship from our service department and fast and courteous response to every customer’s need. At Ohio Industrial Sales we pride ourselves on providing our customers with innovative and effective designs, excellent fabrication, quality materials and expert installations.